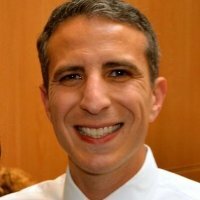 Scott Costa, MBA, CPA is a lecturer for the College of Professional Studies at Northeastern University in the Finance and Accounting Management program. Mr. Costa is a member of the Cost Accounting Standards group supporting contracting officers in resolving contract disputes within the US Department of Defense. Mr. Costa formerly served as a Supervisory Auditor for the DoD, where he supervised an audit team who provided audit advisory services for the DoD and other government agencies. Mr. Costa earned his BS in Business with a concentration in Accounting at Worcester State (College) University and holds a MBA from the University of Massachusetts. He is licensed in the Commonwealth of Massachusetts as a Certified Public Accountant and a member of the American Institute of Certified Public Accountants.